Posted on November 10, 2017 at 12:50 am. Finish off another week the right way by getting all the best online casino bonus codes and promotional offers. We’ve scoured the internet to find the best specials at secure online gambling sites so you can start next week with a bang. Whether you’re a slots player, table game expert or dabble in other online casino games, we have you covered on the promotions front. If you can’t afford the new iPhone X (or keep up with the amount of new phones Apple releases), then get yourself to Leo Vegas and participate in Leo’s November X promo. All you have to do to qualify is complete at least one daily mission at Leo Vegas casino between 23:01 and 22:59 (GMT). One mission will score you five tickets into the weekly draw to win an iPhone X, plus £20 to use on the live dealer tables. To complete a mission, deposit £50 or more at the casino and spin the wheel of Evolution Gaming’s Live Dream Catcher game at least 10 times. Then pick out a live dealer roulette or live dealer blackjack game and wager at least £10 on the game. The £20 bonus will be credited to your account the following day, and there is a 10x wagering requirement attached. The iPhone X draw takes place every week in November, and five winners will be announced every Monday at 5pm. The random prize draw will take place at the live dealer Celebrity Blackjack table, so be sure to log in and watch it in real time. If you can’t make it, winners will be notified via email, phone or SMS. You can also request an £800 cash alternative if you aren’t a fan of the new phones. Prizes will be forfeited if they aren’t claimed within 72 hours. You can increase your chances of winning by playing on the live blackjack tables at Leo Vegas too. Find out more here. The minimum deposit required for each deposit is €/$25 (250 SEK/NOK/ZAR), so split them up if you plan to make a big deposit. Winnings from the free spins are wager free, and there’s a few more terms and conditions you should know before opting into the Mucho Vegas Free Spins Monday promotion – learn more here. Then on Tuesday, create an account with House of Jack online casino to claim a match deposit bonus or a set of free spins. Each Tuesday, the online gambling site gives its players the chance to claim a 30 percent match deposit bonus or 25 free spins on QuickSpin’s Gold Lab slot. To claim the match deposit bonus, enter the promo code EGYPT when making a deposit of at least €/$20, or enter the promo code GOLD to claim the free spins. The bonus needs to be wagered 40x before you can make a withdrawal, while the free spins winnings are wager free and capped at €/$200. Want to know more? See what these guys have to say about the House of Jack Choose your Treasure Tuesday promotion. Every week, the team at Mucho Vegas online casino picks a real money slot from the extensive catalogue for players to try out and score 20 free spins. All you have to do is deposit €/$100 and wager it on the selected game between Monday and Friday. GameArt’s Emperor’s Wealth is this week’s Game of the Week and if you deposit and wager on the online slot before 23:59 pm on Friday, you will receive 20 free spins on Saturday morning. If you miss out, get to Mucho Vegas on Monday and check out the Game of the Week to get your 20 free spins. Getting over the hump doesn’t have to be a challenge thanks to House of Jack’s mid-week match deposit bonuses. 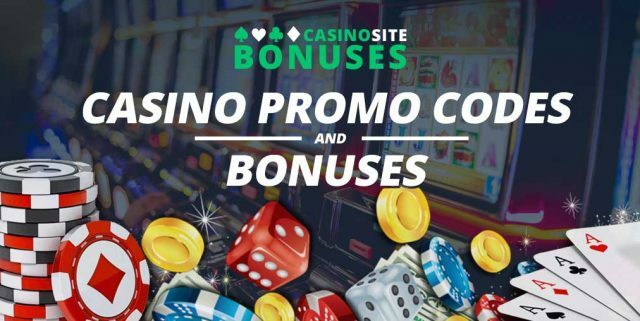 There are two match deposit bonuses to claim every Wednesday, and all you have to do is enter a promo code when funding your online casino account. Make a deposit between $20 and $149 and enter the promo code BOOGIE to receive a 25 percent match deposit bonus. Or make a deposit of $150 or more and enter the promo code GROOVY to receive a 150 percent match deposit bonus. You will need to wager the bonus 40x before you can make a withdrawal and you have 30 days before it expires. Find out more about the House of Jack Match Flash Back promotional terms and conditions here. If you’re a Finnish online casino player then we have an exclusive promotional offer for you at Rizk online casino. The gambling site wants to help you celebrate Father’s Day on Sunday the right way and is giving players the chance to win €1000 in cash. All you have to do is write a poem based on your dad and submit it on the Rizk Insider page. The player with the best poem will receive 1000 euros, while all participants will receive 10 free spins. You will need an online casino account with Rizk, and you can find out more about the Finnish online casino poetry competition here. Canadians looking for a generous online casino promotion should look no further than the Fortune Lounge Group casinos, like All Slots. The sites are giving Canadian players the chance to win $400,000 in their Ultimate Wheel of Fortune promotion over the next few weeks. You will need an online casino account with one of the Fortune casinos like All Slots, Royal Vegas, or 7Sultans. Once you have an account, log in and head to the promotions page and opt in. Then start playing your favourite online casino games to fill the progress bar. Every time you fill it up, you will unlock a level on the Ultimate Wheel of Fortune, and here you can spin to win instant prizes and casino bonuses. Find out the best games to play in the Ultimate Wheel of Fortune promotion here.